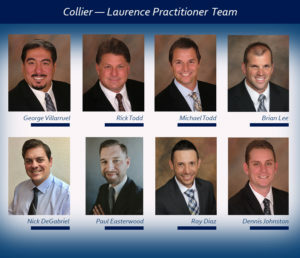 Our combined team provides a full range of services for patients throughout Northern California. We serve pediatric and adult patients in need of orthotic or prosthetic care. Our certified practitioners have several specialty areas which include lower extremity ankle foot orthoses, OA knee orthoses, knee ankle foot orthoses, pediatric care, and upper and lower extremity prosthetics. Our team has a combined 38 plus years’ experience, including extensive work with the Shriners Hospitals. Our goal is to help acutely injured or permanently challenged individuals progress through their rehabilitation to attain the fastest healing and highest quality of life possible. Our patient population encompasses all age groups, from infants to geriatrics, with the goals remaining the same…to help the physically challenged achieve their greatest potential. 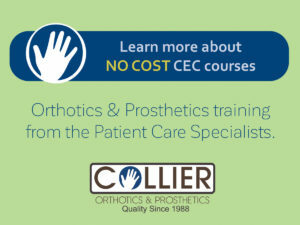 Our certified practitioners specialize in providing the best possible service to our patients and developing custom orthotics for the most complex deformity or controlling anatomy instability. Our custom-made AFO family of orthoses are designed for maximum patient comfort therefore resulting in a higher rate of success for the patient. Our RGO trained practitioners are enabling people with mobility impairments more freedom with Ambulation Device Training for Adult and Pediatric patients. When fit with the proper Reciprocating Gait Orthosis (RGO), training and a lot of determination, patients can get out of their wheelchair and walk again. You can read about Sandra’s journey here. Collier practitioners are your helping hand with growing and changing pediatric needs. Certain pediatric orthopedic conditions require the knowledge and skill of a pediatric orthopedic specialist. It is always important to Follow-up after each fitting. 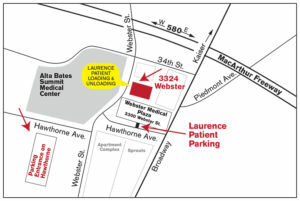 We want to give our patients the opportunity for questions, adjustments and reassurance.